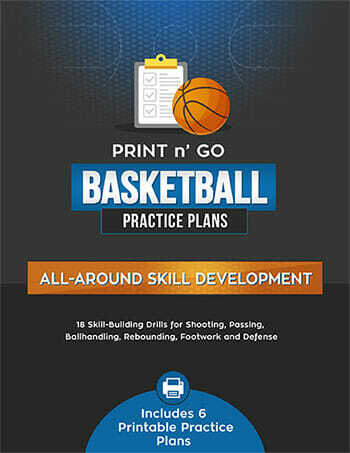 Here are [tag]basketball shooting drills[/tag] that I started to do at the end of every [tag]basketball practice[/tag]. 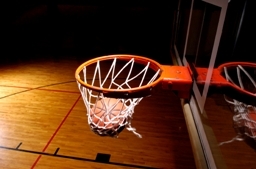 It is something to try and increase your [tag]basketball[/tag] teams’ overall shooting percentage. I call it the Half Arc Drill. 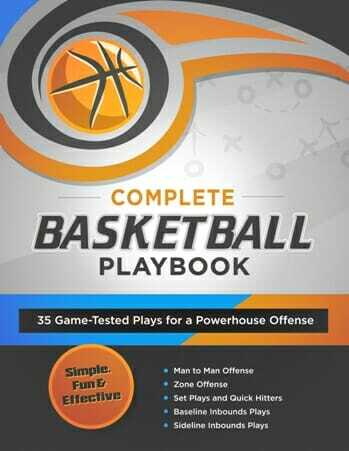 It teaches players how to catch and shoot, follow their shot, slide out to a shooter, and make good passes. Give the ball to one player in the corner (on each end of the court). On the whistle, the player on each side of the court that has the ball will take a shot. They will follow their shot and pass it to the next player. The first shooter will then slide out and put token pressure on the new shooter. This process will continue until one team reaches a set number of baskets and is declared the winner. Get the shot off quickly by getting prepared before you catch the basketball (make sure your knees are bent and feet are square to the basket before catching the ball). 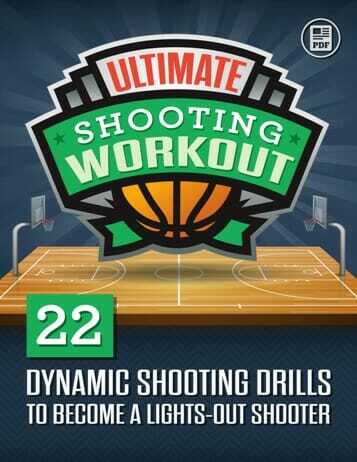 Refrain from sacrificing good shooting form for taking a quick shot. Go straight up with the jump shot – don’t start going after the rebound before the ball leaves their hand! Focus on jumping straight up and down. This is outrageous! AMazing photography. Nice grafics and pixals. I was so extsatic to see The 3g 4 on the 70037.6 pixal. I would like some tips and tricks on your nifty way of taking photos. Please email me @tillygrooms@yahoo.com Cute kid by the way. My leval of excitidenss is over the top.